The most complete overhaul of the Boy Scout uniform in nearly 60 years occurred in 1980. 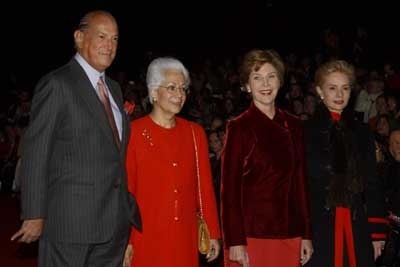 Fashion designer Oscar de la Renta donated his services for a two-year project of remaking all uniforms, for Boy Scouts, Cub Scouts, Explorers, and both men and women adult Scouters. In 1980, a major change was made when a two-color uniform having a tan shirt with olive green shorts or trousers was introduced. 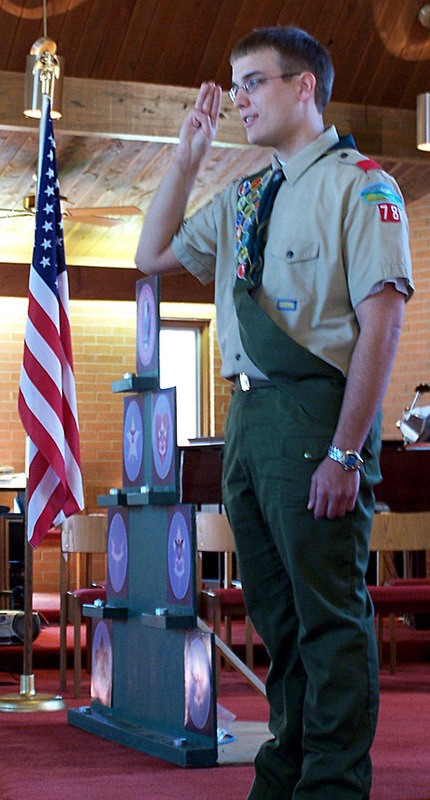 Designed by Oscar de la Renta, it continued to be the uniform until August 2008, when the "Centennial Scout Uniform" was unveiled. The Oscar de la Renta-designed tan buttoned-front uniform shirt had shoulder epaulets and buttoned-down pocket flaps, worn with an olive green webbed belt with a brass buckle or a tan or brown-leather belt. The olive green cap had a bright red front panel and gold fleur-de-lis. In 2006, olive-green "Switchback" zip-off trousers were introduced in place of the traditional trousers, having an integral belt assembly with provisions for either the olive green webbed or brown-leather belt. Socks were olive green with a red band at the top and came in crew or ankle lengths, or knee length for wear with shorts. Female leaders were provided a choice of slacks, shorts, culottes, or a skirt.